Elton has participated in every election since he was legally able to do so. Reads, researches, and studies politics, policies and pundits. What Great Electric Guitar Tonewood Debate? 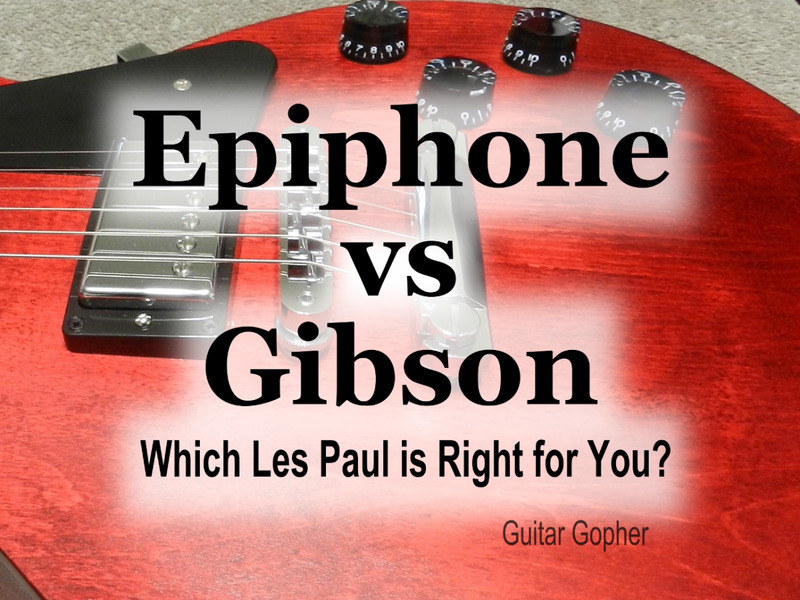 A great debate has raged hot and heavy throughout the guitar playing world since George Beauchamp and Rickenbacker invented the electric guitar. It's a debate that's ignited feuds, torn apart families and has surely broken some hearts and continues to this day. What debate drawn from the innocent depths of guitardom could illicit such a foul and unexpected response? The debate regarding the importance of an electric guitar's wood, of course. What did you think it was? Politics? Pfff...come on now, that's child's play in comparison. The war over an electric guitar's tonewood, like the Princess Bride sword fight, has ranged all over leaving a wake of havoc whenever it's brought into a conversation. It's brought a few too many guitarists to the brink of insanity certainly. Regardless, everyone has an opinion about it and when the Internet comes into play, the world weighs in too. Pictured: What all the arguing is about. Yes. It's about the wood or, more accurately, which tonewood is used to make the guitar actually and if that wood actually affects the guitars sound. 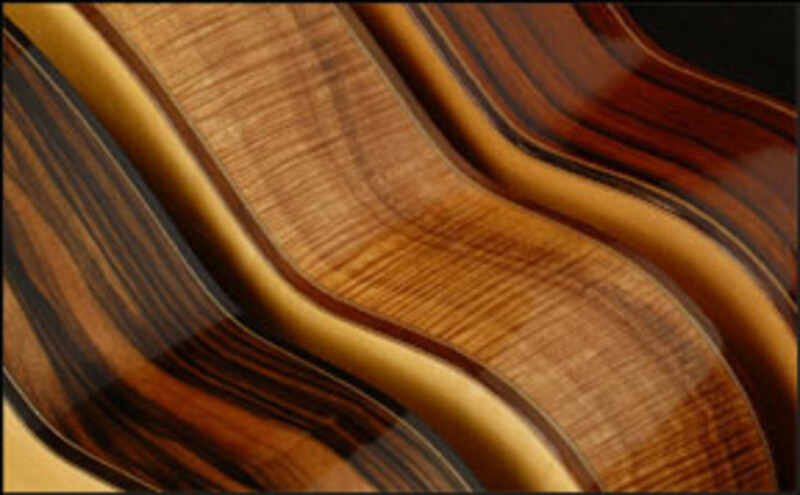 Tonewood is a dense specialty wood coveted for it's tonal resonance and ability to reverberate. It's used in a variety of instruments for those properties to amplify and elevate the sound produced by the instrument. These special qualities have been used for centuries to create and build various instruments with differing levels of success. Some tone woods do it better than others so, are often more vigorously sought out and because of their growing rarity (due, primarily, to over harvesting) also vary in expense, the rarest most hard to find being the most expensive, of course. So, The Tonewood Is Important? Depending on the instrument, goodness yes. 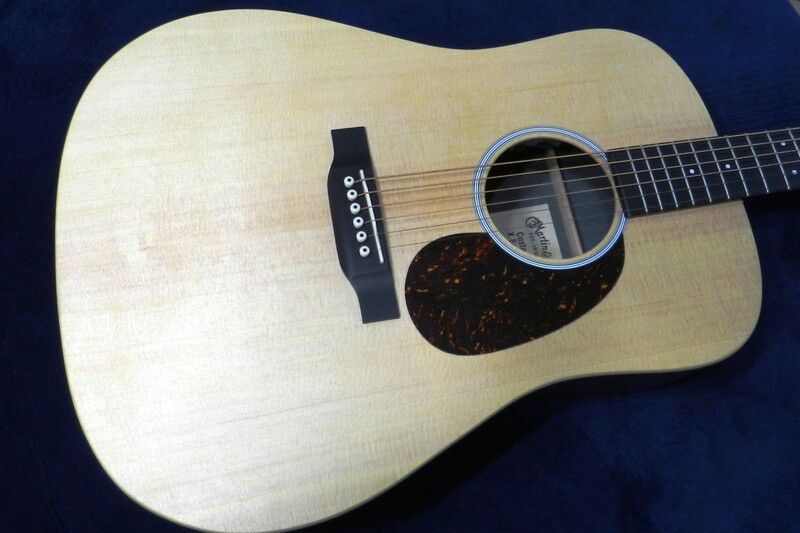 The tonal qualities between an acoustic guitar made with fine tonewoods, for instance, compared to one composed of cheaper ply woods are readily evident. The finer woods hold a notes sustain (a notes ability to carry on after being played) longer and richer than cheaper woods and will augment the note with richer, sometimes deeper overtones and character. The same is true for any acoustic instrument constructed from a wood. According to some musicians and experts, instruments constructed from the same tonewood, taken from the same tree will vary in their tonal character or voice, despite being from the same origin. It's very important, yes. 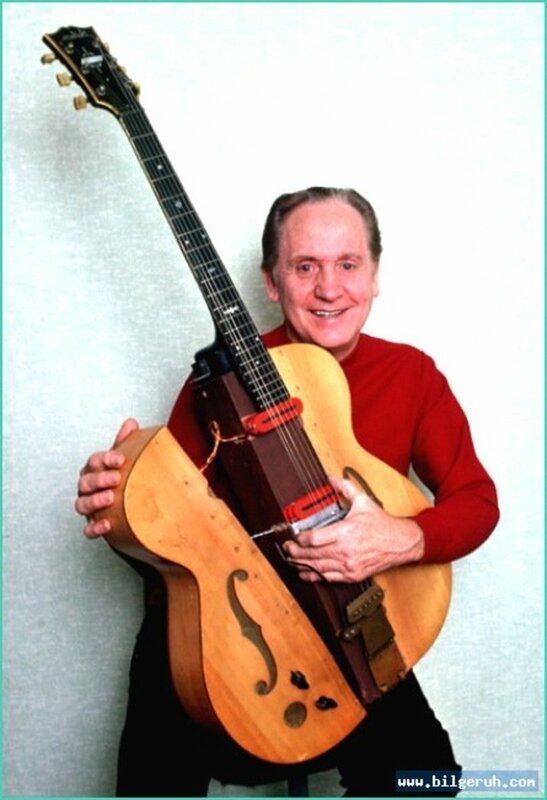 This is Les Paul holding "The Log"
Ah, So, It's Important For Electric Guitar Too, End Of Story, Right? Well, that is the crux of the argument and it would seem to play out that way. Though, when it comes to electric guitars, more often than not, nothing is quite what it seems. The argument regarding electric guitar tonewood and it's importance goes back a long, long way. It's confusing too. 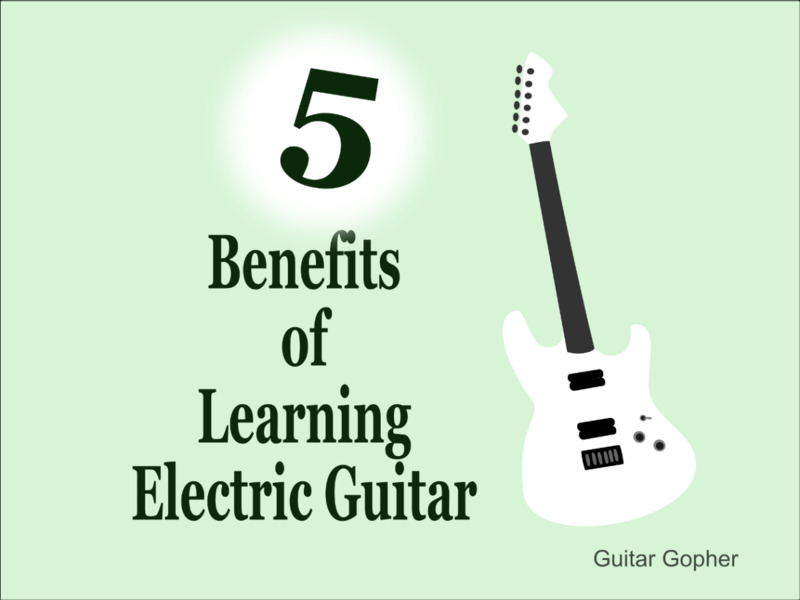 There is a reason for that and that reason is ingrained in electric guitar history. Way back, when guitar was used as a backing instrument for live bands, it was often relegated to little more than rhythm and filler. Because it was acoustic it's meager sounds were hard to hear. It's place in the band was coloring the sound and give texture to the arrangements and little more. Not from lack of trying, of course, but, it was simply a limited instrument, sonically. Basically, as Les Paul tells it, it's a railroad tie with a "pickup" underneath the strings and two "wings" glued on the side, so it would look more like the guitars seen at the time. It was in a bid to avoid being laughed at. Who could blame him, right? Nobody wants to be seen a big stick of wood with strings on it. These can be a little confusing. Okay, He Made The Log, What's That Have To Do With Anything? It has everything to do with it. Namely because of the point, Les Paul himself, drove home. He added those "wings" to make it look like a traditional guitar. A traditional acoustic guitar. Les knew that the best way to gain acceptance for his electric guitar, was to "ease in" with acoustic looks. It gave the illusion of consistency, despite it being anything but. It's right there, that the beginning of the electric guitar tonewood debate started. Guitarists born and raised on acoustic guitars understood that tonewood played a key role in the sound of an instrument. The importance of good tonewood was understood by lots of musicians playing acoustic guitars. So, when this newfangled electri-whosit made it's way into a big band orchestra, naturally they assumed the same thing. Why wouldn't they? Looks like a duck, quacks like a duck...it must act the same as a non-electric guitar. They're Right! There You Have It. Solved! Well...they're right,...up until they're wrong. It's strung the same, fundamentally played the same and depending on design, look the same, the way in which the sound is produced, however, isn't. That's were things are drastically different. Acoustics use string vibration and the echoes of those vibrations to produce their sounds, electric guitars use something entirely different; magnets and magnetic fields, to be exact. Exactly, magnets. A pickup's magnetic field is disrupted, creating a signal that runs from it and then, basically straight out to the amp. There in lies the solution, it's path from the vibrating string to the amp is a pretty straight forward process. Strings are strummed, directly above the pick ups. Strings effect the pickups with magnetic field, then, more or less, straight out to the amp to make the sound. The wood never comes into play and there you have it. Wait, What?! Important?! Not?! So Confusing. In that entire process, the wood never comes into play. Sorry, purists. The grand ol' debate has been studied and argued from all sides, up to and including a physicist performing a two month study. A study which demonstrates, very convincingly, tonewoods importance to be irrelevant. Still, the debate persists despite logic, scientific study or even the history of guitar building itself. Believed to be one of, if not, the oldest guitar in the world. Created sometime around 1590. That it does, indeed. Acoustic design has been refined to reflect the best possible usage of materials and shape to get the most productive sounds and tones and, as you can see, it's pretty consistent. Wood is the predominant role player in an acoustic's construction, because it directly affects the sound. Only the best, resonant tonewoods would do and they were used to the hilt to make a good sounding instrument as the sound partially relies on it. 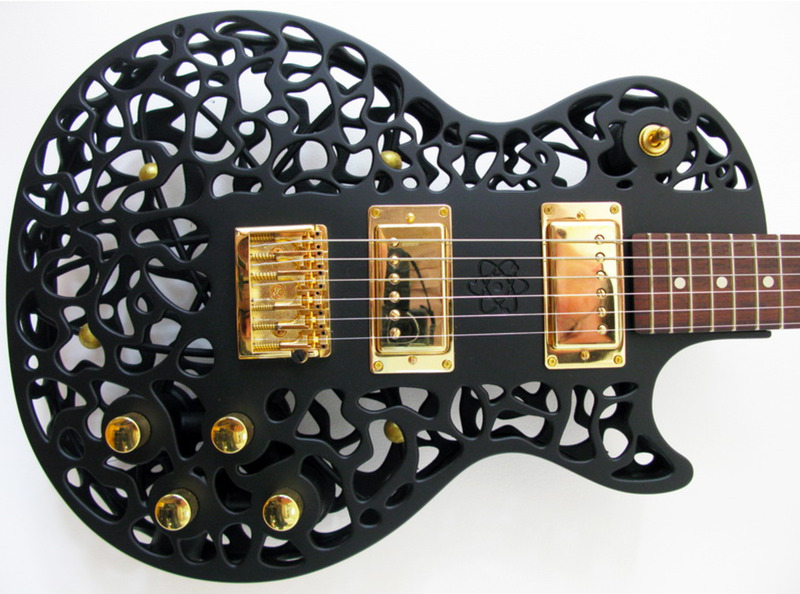 The same does not hold true for electric guitars, as you can see, you can make those from just about anything. There is hardly anything there at all. So, Tone Wood, Not A Big Deal, Eh? It would seem not. There are and will always be detractors however. The debate will assuredly go on for as long as electric guitars exist. Hopefully, that is for a very long time. Regardless of what side anyone is on, when it comes to the tonewood debate, tonewood's relevancy is just a small part of a bigger discussion. Simply talking about guitar, sparks interest in guitar. This is and will always be a good thing. Any pursuit that expands one's creative and mental abilities can be regarded, in most cases, as a grand and noble thing. So, in arguing about tone wood, it's fanatical sides raging against each other, interest in the instrument they're picking apart will inevitably grow. Tonewood has always and will always be important. You can plainly hear the difference. Tonewood is irrelevant. It's all about the electronics. Bad pickups, bad sound. Period. Let’s take a quality pick-up like a Gibson Classic 57 Humbucker. Screw it into a Les Paul, a ES 335 and a L5. Even a child can hear the difference through an amp and when you are a guitar enthusiastic, you can blindly tell which guitar it is. Experiment nr. 2: take a stiff plastic pick and strum. Next take a piece of paper cardboard and strum again. Can you hear the difference through the amp? Who can’t? Some physics: the effect of the material of an electric guitar works different as on a acoustic guitar. As on a acoustic guitar the body / wood is enhancing the tone by collecting the energy from the strings. On an electric guitar the wood (.. in combination with the construction) is absorbing or even enhancing some of this energy from the strings, leaving a particular energy travelling through the pick-ups, resulting into a characteristic tone through the amp. Some wood eat-up a lot of energy and leave a poor flat tone (like cheap guitars) some, who are made from specific woods, produce a more superior tone. For those who can appreciate this, that is. Poor or superior? Ask any Luthier, who is experienced in electric guitar making. Or is he just performing a fake show about his tonewoods knowledge and craftsmanship? Let’s observe the question from a different angle: why are 1959 Les Pauls so appreciated? The people who made them, had maybe 20 year experience in acoustic guitar making, the finest in the world. A solid body electric guitar was maybe new to them but they never changed the material nor the production process. Do you think these people would have thought: okay, it is going to be an electric guitar so let’s take some plywood and other crap? No, they took the fines tonewood they had been using for decades and applied their superior craftsmanship. Every electric guitarist knows these early Les Paul’s are the best. All red wines are made from grapes. Nevertheless they all taste differently. Some appreciate this and some just don’t. The strings movement moves the magnetic field creating current in the coil of the pickup. The string does not create the current the movement does. If you placed a solenoid beneath the pickup and moved the pickup you would also create a current in the coil. If you took the strings off the guitar, and held a hammer head over the pickup and activated the solenoid you would get a current in the coil. This illustrates that vibrations imparted to the pickup from any source produces a current in the pickup. The string vibrates, the body vibrates, the pickup vibrates. The vibration of the pick up is a separate signal signal from the vibration of the string, and follows a different path to the coil. This means the wave fronts arrive at different times. This produces a combined signal that goes to the amp. Physics says wood changes the tone. The difference is subtle, and may be very hard to find with audio spectrum analyzer but can be heard, by some, and not by other players. When you hit a string it will vibrate. It will continue to vibrate until the energy put into it is expended. Where does that energy go? Well, it is expended through movement. That movement is what the pickup "sees" and translates into sound. In a world where 100 % of the initial energy imparted by the strum to the string was expended through movement, wood doesn't matter. But we don't live in that world. Some of the energy is not translated to string movement because it is lost. Where? To the body. Dependant on hardware and body composition, certain amounts of frequencies are absorbed by the body and therefore lost to be seen by the pickups. Body resonance is the OPPOSITE of what most people think. Those prevalent frequencies you hear ringing out of the wood are now unavailable to be transferred to the pickups. Remember, we can't create energy, only move it around. If a guitar is prominent in specific frequencies, it is only because other frequencies have been "removed" to make them stand out. In short, wood (and every other material) effects tone in a subtractive fashion. The why do some electrics feedback so much more than others. Put the same pickuos in another guitar and... VOILA! Minimum feedback! How come a gibson les paul, an sg and es335 sound so different that people can tell them appart while blindfolded? If wood has nothing to do with it these guitars with the same pickups in them should sound exactly the same, yet these guitars have their own characteristics. I understand that the string in the magnettic field inducts an electric impulse thats the signal, but its the in way the string vibrates that the signal changes, like if you pkug soft or hard the signal is different, wouldn't it then be logical that the vibrating of the guitar body has an influence on the movement of the string? Sorry if i made some spelling errors, not my native language. Any vibration we can hear as "sound" is composed of some distribution of overtones above the fundamental frequency. Overtones exist in a set fashion based on the physics of vibrating waves and the ratios between them. The only difference in tone between any instrument is caused by a different prominence and distribution of these overtones. When a string is plucked on an electric guitar the vibrations move into the body of the guitar as well. The resonant properties of the wood will cause some of these overtones to be "summed" and exaggerated while others will "cancel" to some degree. 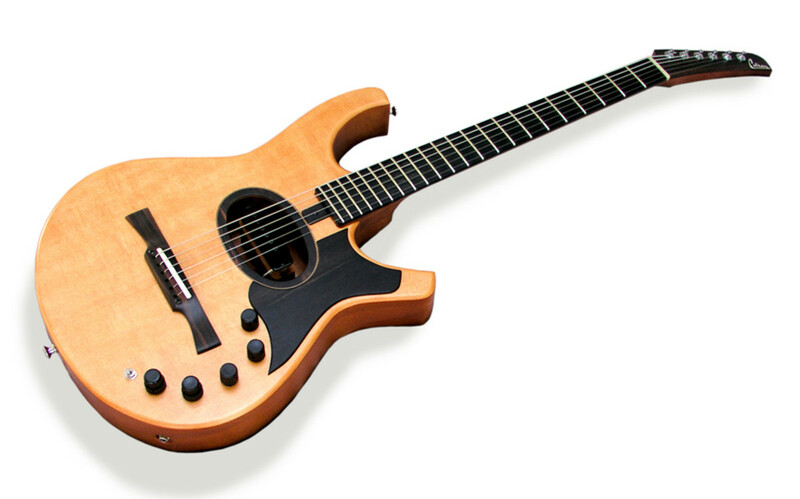 The vibrating string will be influenced, however slightly, by the vibration of the guitar, in turn changing the distribution of overtones on the vibrating string - essentially creating a feedback loop. Not to mention the difference tones created when two pure tones (sine waves) are produced at the same time (which, important to mention - pure tones only exist in theory, every sound we hear is comprised of overtones...) - then the additional difference tones created by the interaction BETWEEN difference tones - it's basically a fractal relationship. Anybody who has spent a significant amount of time studying the physics of sound knows that the interactions that occur between sounds are so complex and immense that it's almost silly to assume that just because "wood isn't magnetic" that the natural resonance of the wood wouldn't in turn accentuate certain overtones over the fundamental tone coming off the string. You can't say that the note "has already left the string," when the note takes place over time - even a staccato note has an attack, sustain, decay, and release envelope much in the way that a synthesizer does (this is where the idea for artificial dynamics envelopes came from anyway). I think for somebody reasonable, the right answer would be that yes, it has an effect on the tone of the guitar and the notes coming off the strings, but not nearly as much as other factors in the design of the guitar. If you think I'm wrong then you should read more about the overtone series, the physics of sound, difference tones, and how sounds interact both as vibrations moving through air, and digitally as numbers in a computer. It's just not as simple as to say wood doesn't have a magnetic field so therefore it can't possibly affect the tone. It's true that much of what we hear is a result of the ear-brain axis, but there are also many fundamentally measurable physical properties of sound as it occurs over time (as all sounds do) that can easily explain why different types or shapes of wood could have a subtle but real effect on the tone. [Alex] I can definitely argue that. I've changed/swapped between single coils, humbuckers, foil tops, toasters and more between multiple guitars. The actual truth is...if you want a "warmer" tone, put in a humbucker or something comparable. If you want shimmer and chime, pop in a single coil. Never once did a single coil, going into what some consider a "warm overtoned" wood, produce a "warmer tone" due to the wood of the guitar body. It's a myth, I'm afraid. My guitar made of an alder body, maple neck and ebony fretboard has had every range of quality pick up. Wood absolutely makes a difference. A poor quality stock pick up is going to sound better in an alder neck-through than a basswood bolt on. Period. You can't argue that. You are absolutely correct in that the pickups only pick up the vibrations of the strings. That’s a fact. However, even on an electric guitar, the neck- and body material (the wood) resonates along with the played note creating a longer sustain for certain frequencies. This is measurable and can be demonstrated quite easily. 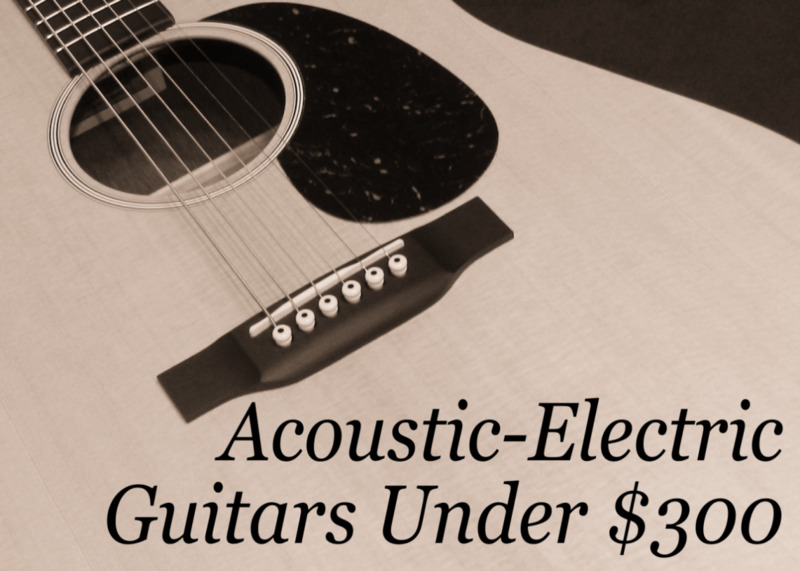 Still, this does not directly mean that the wood affects the tone in electric guitars, as it does in acoustic guitars. But indirectly the wood could potentially make the strings vibrate in a different way. I guess someone could make a case out of that, trying to make an argument that the extra sustain (or lack thereof) makes for a different “tone”. I think this is the confusion that makes it hard for believers and non-believers to discuss this. As a last note I‘d like to point out that any difference, if any, is probably so small that it can easily be compensated by tweaking the amp. Sorry on my previous post - I meant to add that the waveform test should be done using guitars of same distance between bridge and nut so the vibrating string length is identical, and of course using identical pickups. You can then vary the woods, the hardware, the body type (hollow, semi, solid) etc. I think it would be interesting to use guitars with different overall string lengths depending on the stop piece used, whether the strings or through the body, and the arrangement of the tuners on the headstock. So the actual vibrating length of the string should be the same in all cases, and if that's all that affects the magnetic field then none of the other things mentioned above should affect that signal. Do a simple test protocol such as plucking each string with the identical pick, record the waveform, overlay them and look for differences in the waveform. I suspect this has been done by someone but I can't find any such tests in my quick internet search. Seems to me this is the only way to really settle the debate; the differences may be too small to hear, but regardless if there is differences then the tone is being affected by the instrument. In that case the wood and body design is making the string vibrate differently, which is what the pickup...picks up. 1. striking the string creates the vibration and once it disrupts the magnetic field on the pickup that's it - how about when you don't strike the string at all, like when you tap on the body of the guitar? The vibrating wood imparts vibration on the strings, which in turn do their thing on the pickup. The body of the guitar, the nut, the bridge, every part of the guitar is now directly influencing the sound you hear out of the pickup. Remember, only the magnetic field disturbance is being amplified, and tapping the guitar has started the strings vibrating. How can that happen without the wood's tonal qualities affecting the waveform? 2. Scientific analysis - it seems to me the way to solve this debate is to input the signal from various instruments directly into an oscilloscope (or whatever waveform recorders are called these days) and compare signals. No difference proves the debate one way; if differences show up, then it proves it the other way. As a player and lover of the instrument, I can tell you unequivically that you are all right. Run a line straight into the board and wood doesn't make a difference and you will add effects in your mix. Or stand in front of a Marshall stack with a couple of humbuckers catching the feedback and you appreciate Honduran mahagony for its tone. You can certainly tell a difference in the sounds you make and especially feel the difference in your hands. And if you can't agree on these concepts, you dishonor the instrument and the craft of luthiers. As my buddy Terry keeps telling me, 'Shut up and play.' Peace out fellow geeks. To the person holding and playing the guitar, yes, the sound emanating from the guitar might sound different. However, an electric guitar is meant to be amplified. The sound coming from the amp originates from strings vibrating over the pickups, which generates a signal that goes to the amp. What you're saying is the equivalent of the color of a car's interior somehow affecting it's speed. It doesn't. I disagree, not saying that you can hear tonewoods but saying that it isnt just the string and pickups that make a difference. There is a huge difference in how a string vibrates and pickups do pickup resonances, otherwise a semi hollow would sound exactly like a solidbody and would never feedback. Get some humbuckers put them in a telecaster and then put them in a 335 and tell me they sound exactly the same. What is important is scale length (string tension), weight and various things like bridge design. Get a hardtail strat with strat pickups and then route it for a trem bridge ... it will sound different, maybe minor or major depending on what but it will change the tone. No difference. When my dad was at Fender they tested Strats with the same electronics but a variety of woods and even Lucite. No one could tell the difference from recordings. [Fausto] It's calculated by the sound coming from the amp. When you stop the note, it stops the magnetic disturbance and in turn the signal created and sent. The instant it is plucked or strummed above and vibrates above the pickup, the magnetic field is disturbed, not before, not after. Harmonic resonance does occur, obviously, but doesn't affect the magnetic field disturbed between the struck metal string and the electromagnet in any meaningful way, nor does it affect the tone. Otherwise there would be nonstop feedback as every possible friction point on the guitar would cause harmonic resonance and lead generate a signal. It doesn't. [Kevin] I do in fact play guitar. I've been playing for the better part of 20 years. Mikko, spot on. Even light wood has density, and there comes a point in solid body electric guitars where how dense any piece of wood is only makes a difference acoustically. The point you made about how a guitar feels when you're playing it is sound, though. Its weight and acoustic resonance will affect how you respond to it and how you attack it (same for neck thickness and profile), and that will account for the preference we have for one guitar over another of the same model. When someone says: "I've got a Gibson Les Paul with Bare Knuckle Pickups" I tend to think well, you don't really have a "Gibson" Les Paul at all then, because you've removed the elements of the guitar that make it sound like a Gibson. But guitarists are a conservative bunch and tend to hold on to their beliefs, biases, and myths. I've not long managed to let go of mine and it's made me happier with the guitars I now have, and has saved me a lot of money! I doubt I can bring anything relevant to this discussion that hasn't been said already but since I liked the article so much and the subject has puzzled me since I got my first guitar, I jsut have to pitch in. My first guitar was a cheap Jackson-esque strat the brand was Cyclone. It was significantly lighter in weight than my friends Fender stratocaster and I liked it for that reason from the beginning. It was just much easier and more comfortable to play, esepecially while standing. Maybe because of this I've been biased to doubt the whole tonewood thing. My experience is that most 'guitar people' (at least here in Finland) seem to think that lighter wood is simply a sign of a bad quality electric guitar. I talked about this quite recently with a local luthier, who is very sience oriented and uses rosewood as the body. Guitars he makes are so light that when you pick them up at first, it is hard to believe they aren't hollow. So I asked him about his thoughts on the density and / or other qualities of the wood affecting the tone and his responce was pretty much consistent with the article. Anyhow he did mention the _theoretial_ possibility of the waves to traveling to the wood and reflecting back to the strings _possibly_ affecting the sustain. As someone stated, in real life physics there are never completely isolated phenomena but you can draw a line whether a factor is significant or not. John's comment above would support the more dense wood to be better but my guess is that when it comes to the sound that is audible to human ear, the material does not count. How a guitar feels is a totally different matter and shapes the way the player hears the sound drastically. My intuition says that lighter wood might convey the vibration to the players body which would partly exlpain Butch's experience with guitars with different materials. I've never thought about that before but do find anything else than the strings resonating (springs, screws..) uncomfprtable. I'm pleased more and more people are realising this. It really is blindingly obvious when you think about it. Anyone who talks about "resonance" when talking about a solid electric guitar body is completely missing the point, and the point is to remove, as far as is possible (and that's pretty far), any influence the body has on the amplified sound. So the primary quality you're looking for in a solid electric guitar body is not resonance, but density. Then there's the obvious fact that wood has no magnetic properties, so it's simply impossible that any acoustic vibrations from the body will have any effect on the amplified sound. It's also not true that any acoustic qualities of the body wood are somehow imparted back to the vibrating string; the vibrations go out into the air and, well, that's it. They're a by-product, nothing more. Then there are the pickups. They are not, as some maintain, attached to the body in any more than a passing manner. They are suspended on springs or rubber tubing in cavities in the body. Every effort has been made to isolate them from the body and its influence. The job of the body on an electric guitar is to be dense but not too heavy, to look like a Strat or a Les Paul or whatever you like, and to hold the electrical components and the bridge, which are the only things that determine how it sounds (yes, the bridge can affect the sound to some degree). the pickups take only the string vibrations, but the strings vibrate differently if it is mount on different guitars as the whole system vibrate. I wonder if the author plays guitar. Play a les paul and an es335 with the same pickups and same strings, you will hear a difference. End of story. "There is no way anyone can deny me my personal experience on this." That's true. The same can be said about seeing a ghost or angels, but it doesn't make it reality. People that "hear a difference" are usually pre-conditioned to hear one. If you were removed from the guitars presence completely and only given anonymous samples of their tone, it's highly doubtful you'd identify, match or even come close to choosing 100% of the guitars tones correctly. Especially based on some imagined effect the wood is having on the sound. I have made over a hundred solid body electric guitars by hand. I can use the same pickup in a plexiglas, or a wood body, utilizing a wood neck, plugged directly into a tube amp, and they do sound different. There is no way anyone can deny me my personal experience on this. I think whats going on here is the new 3D printer body's that are being pushed for their capability of unusual designs. Nothing wrong there, as i have some of my own designs i am going to try as well. I have a contact that makes aluminum guitars, and they also produce a different sound. [JustAGuy] What you say is true when recording...a guitar amplifier. Mic placement can vary according to preference and tonal quality. The same holds true for any kind of mic'd recording. Everything else you describe are after effects of a string vibrating...which occur after the vibrating over the pickups has occurred. I don't really have a strong opinion on how wood affects the tone of an electric guitar. However, i do want to challenge the premise that the properties of the guitar cannot have an effect after the signal has "left the guitar". 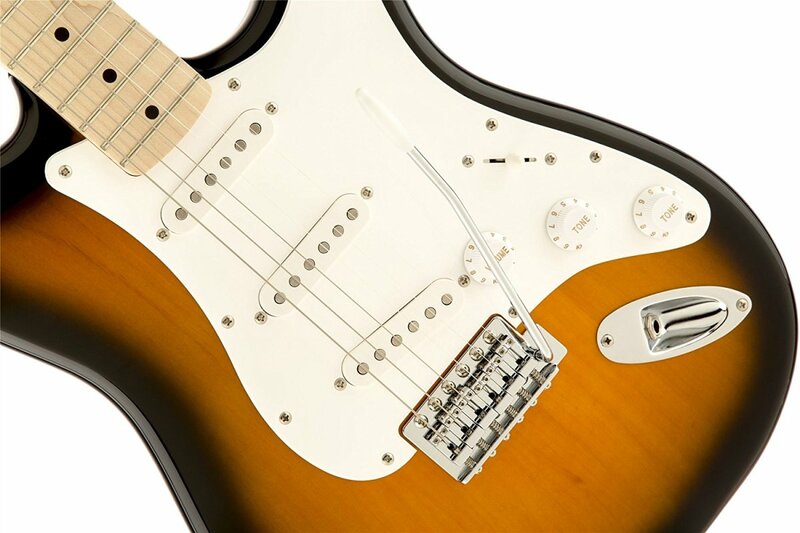 Anything that affects how the strings vibrate will affect what the pickups capture. For example, if the guitar resonates more strongly at a particular frequency that can reenforce the vibration of the strings at that frequency which in turn will affect what the pickup picks up. If may well be that for solidbody guitars, the affects of different woods are negligible, but what about solidbody vs hollowbody? The "sound has already left the guitar" paradigm would seem to imply that these should sound identical, yet I strongly suspect that isn't the case. Well technically, the floor and the ceiling do shape the tone, post amp. Room acoustics are a major factor in the quality of sound recordings. Also Dan isn't wrong. Each thing that vibrates that eventually moves the pickup (while a note is being played or sustained) will disrupt the magnetic field. In physics there is hardly ever an instance where things have absolutely zero effect on the things around them. It comes down to the significance of the effect. For example, if something moves the pickup .05 picometers six times a second, then it likely has a negligible effect on the sound (i.e. our ears are not capable of detecting any difference. There does come a point where other variables do begin to change the characteristics of the sound. 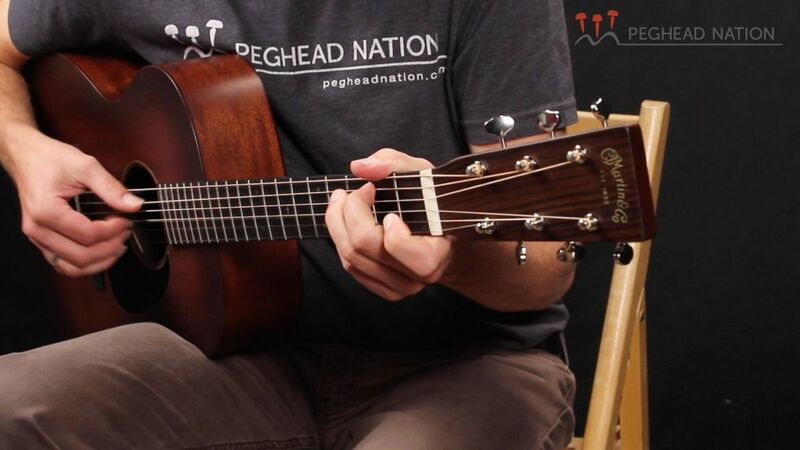 Additionally, as a string is struck, due to the rigidity (or slight lack thereof) the neck and body will vibrate, changing the distance between bridge and nut. The shortening and lengthening of this distance will then change the vibration frequency of the string. This can result in the dampening of vibration or potentially slight amplification of frequencies or overtones. Overall, it is impossible to say with absolute certainty that something does not have an effect on something else in this case. The truth, however, is that the degree to which the change is noticeable may not be detectable by the human ear. The vibration of the wood isn't in question at all. It does indeed vibrate and if you put a microphone up to the wood of the guitar as it's being played (and if you can manage the feedback) you'll no doubt hear the tonal qualities of the wood. You can knock on it to hear that. It's like knocking on a door. ANY wooden door or any processed wood for that matter. It's whether that wood would in anyway shape the signal of a pickups electromagnets field and signal generation...that has already left a guitar long before any wood vibration starts. If that were true, you'd have to take into consideration everything that vibrates after the string is stuck (the strap, the plastic of the knobs). You vibrate as well. So in essence, what you're saying is...the contents of your stomach affects the signal going to the amp. Hell, what wood your floors are made of affects the tonal quality. Maybe if you hit it hard enough you can get the ceiling involved. The string is not the only thing that vibrates. 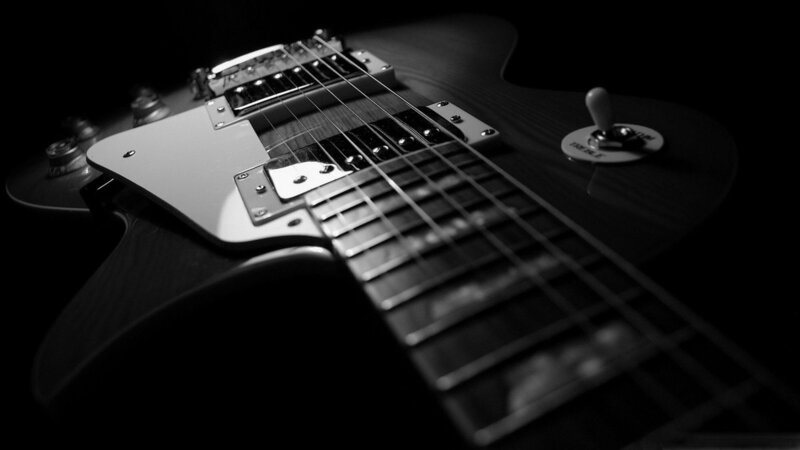 The guitar itself vibrates, and how it vibrates depends on the tone wood. The pickups are attached to the guitar and therefore they go along for the ride. In other words they vibrate under the strings which adds to the disruption of the magnetic field. So the environment the pick ups are placed in affects the tone. A good example is Neil Young's Old Blackie, which has an aluminum pick guard on it which gives it a unique. I'm not sure what you're trying to say here. While it is true that the vibrations of the strings decay within the wood of the guitar, it's after the signal has already left the guitar. The initial disturbance of magnetic field above the pickups and it's subsequent signal has already left the guitar before any decay can effect the originally generated signal. It's like saying the wood handle of a hammer effects the tone generated by hitting a nail. The nails been hit, vibrations through the wood afterward are pointless. Unless the guitar itself is metal and hollow, you would hear sound generated acoustically, as you would with any acoustic instrument. An electric guitar is not an acoustic instrument in a classical sense. What I get from the study is that a strings vibrations decay in the wood body. That's not the argument. It's whether that decay colors the signal going to an amp, which it doesn't.